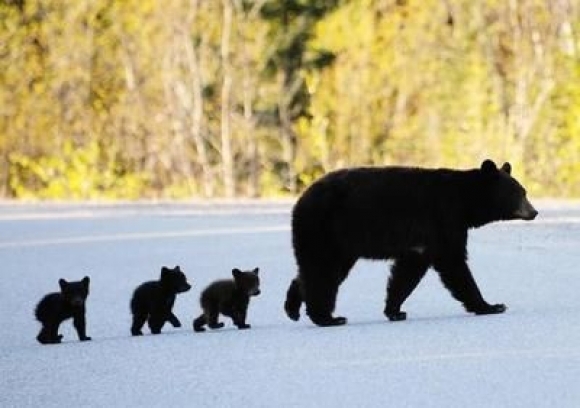 Most of us remember the game “Follow The Leader,” which involves a child being the leader of a line of other children. The children are supposed to copy everything the leader does. Those who fail to do so are out of the line, until one is left standing behind the leader, who then becomes the new leader. It’s similar to the game Simon Says, which requires a group of at least three children, preferably more. The leader gives directions to the other participants, trying to catch them out. If they follow the directions starting with “Simon says touch your toes,” for instance, they are still in play. But if the leader says, simply, (ha ha) “Touch your toes,” and they are caught out touching their toes, they are out of play. In sheep behavior, when one sheep moves, the rest will follow, even if it is not a good idea. The following instinct of sheep is so strong that it caused the death of 400 sheep in 2006 in eastern Turkey. The sheep plunged to their death after one of the sheep tried to cross a 15-meter deep ravine, and the rest of the flock followed. Even from birth, lambs are taught to follow the older members of the flock. Ewes encourage their lambs to follow. The dominant members of the flock usually lead, followed by the submissive ones. If there is a ram in the flock, he usually leads. As for people, and in terms of crowd behavior, we are more apt to follow “leaders” who stay at the edge of the crowd rather than the center of the action. In one instance, a research team asked groups of eight students to walk around continuously in a specified area and stay together as a group without speaking or gesturing to one another. One person in one of the groups was asked to move towards a target, while remaining a member of the group, without letting the others know that he was leading them to a target. In another group, the students were told to follow “the leader,” but not told who the leader was. In the second group, it was found that those leaders who remained on the edge of the group were able to move their group towards a target much more quickly than the leaders that chose to remain in the center. Have a wonderful rest of the day. especially re the 400 sheep!! Exactly! It’s scary to think it’s that instinctive for an animal to follow–like right to its own death, you know? Right? I thought it was pretty interesting too!